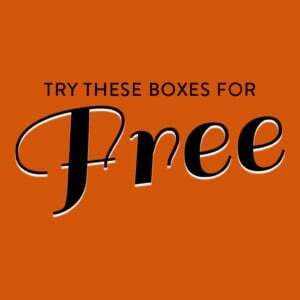 The first box a subscriber receives will be sent in a wooden crate. Subsequent shipments will be sent in a mailer (to reduce packaging waste). Good to know: Mantry has gift cards available to print out and hand to dads on Father’s Day so it’s a perfect Last-Minute Gift for Dad! This box also contained a note from Mantry’s curator. No grilling themed box would be complete without barbecue sauce! This sauce is the creation of Sharon Hakman, a contestant from the first season of FOX’s Masterchef. It’s gluten free, non-GMO, and made with all natural ingredients and no preservatives. Mantry posts recipe on their website that coordinate with each box shipment, and they recommend using this sauce to make Sticky Chipotle Bourbon Ribs. This dressing is made from a combination of organic, high-quality ingredients: olive oil, balsamic vinegar, wild Maine blueberries, Maine maple syrup, garlic, Maine honey, mustard, lemon juice, and salt & pepper. It’s sweet, tangy, a little salty, and perfect for summer salads. Miss Marjorie’s plantains are one of the signature items served at Marjorie Restaurant in Seattle. They can be eaten alone, paired with cheese, or dipped into sauce. Mantry recommends serving them alongside homemade Piri Piri Grilled Pineapple Salsa. 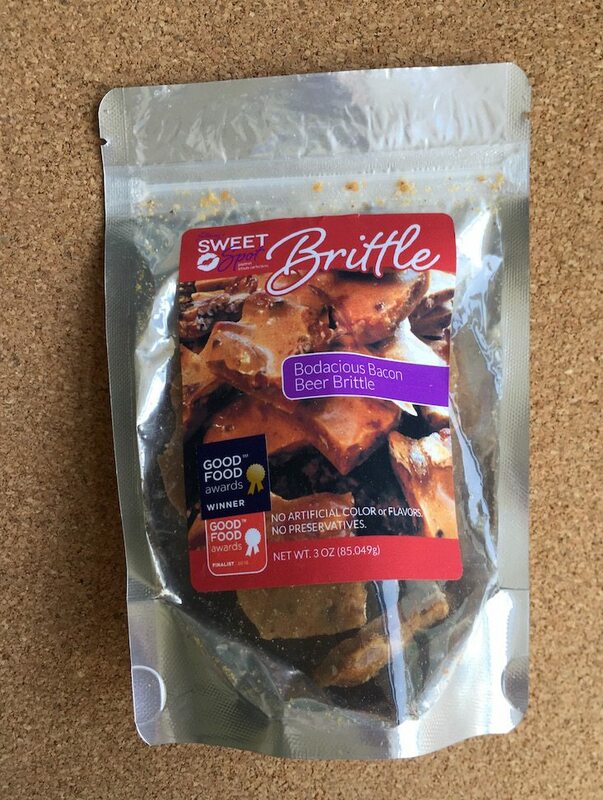 I’ve tried this jerky before (thanks to Jerky Snob), and I’m a fan. The Sinsa incorporates the flavors of Korean BBQ. My favorite thing about True Gentleman’s Jerky, though, is that they include a bit of dental floss in each pack. How thoughtful! This salt has a medium level of spice and a fresh herbal kick. The Chili Lab recommends using it “as a finishing salt on tuna tartare or a baked potato, or add it to white wine-steamed clams.” I love spicy salt, and this one has great flavor and nice heat. Back in February, Mantry announced that they planned to introduce some changes to their subscription model. 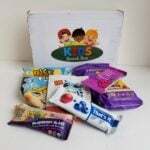 Instead of shipping monthly at a cost of $75 per shipment, they would switch to a bi-monthly shipping schedule and lower their cost to $49 per box. This change has been in effect for several months now, but this is my first review since February, so I thought it was important to mention. New subscribers all receive a welcome packet after signing up for a subscription. Mantry kindly sent me one, so that MSA readers could preview what’s inside. My pack contained a set of four paper coasters. Alaska Pure Alder Smoked Sea Salt (2 oz.? )- $5? It also contained a generously sized packet of smoked salt. The welcome letter explained that using high-quality ingredients (like the salt) is a great way to improve your cooking. Lastly, Mantry included a discount code for Salted, a website that offers online cooking courses. Altogether, quite a nice little gift bundle! Verdict: It’s been awhile since I last reviewed Mantry, and I’m pleased to see that their curation is still on point. They’ve always had a knack for sending incredible artisanal products from small domestic producers; however, I previously struggled with the cost to value ratio of their boxes. I was excited to see how the changes they announced in February would impact on the subscription, and I’m pleased to see that the value has improved greatly. The retail cost of the items in this month’s box totals $59, which is great considering the $49 cost of the box. 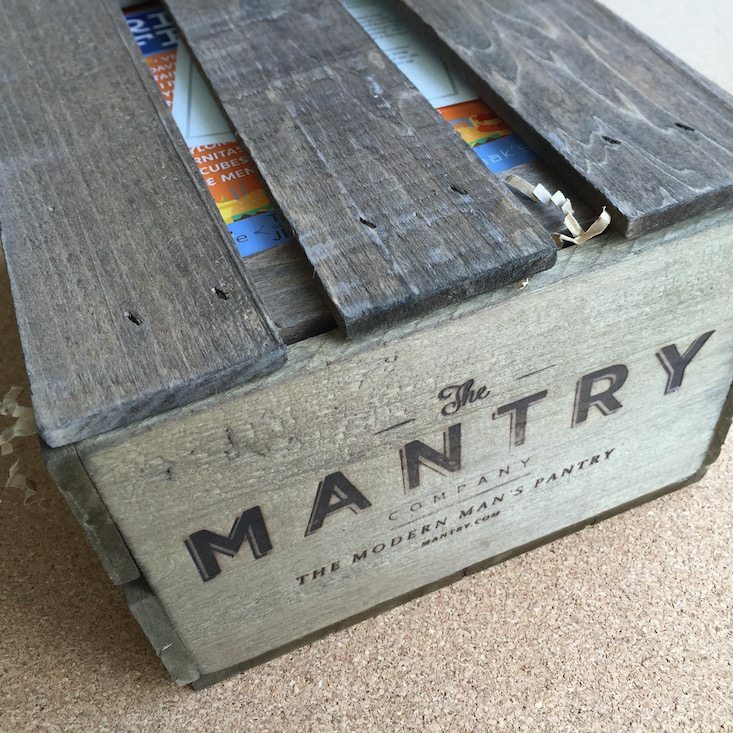 Have you tried any of the products in this month’s Mantry? What do you think about their re-vamped subscription model?